I was only familiar with the company Montbell for their superb sleeping bags until I tried out Montbell's Snow Banshee Hoodie this winter. For the last 4-5 years I have worn a softshell jacket religiously as a layer on the colder days in winter as well as a stand alone for getting around town or hiking in the more temperate shoulder seasons. These days, I wouldn't go without owning a soft shell jacket, the key being in their versatility. 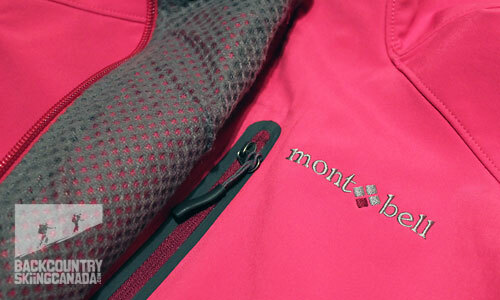 Established in Japan in 1975 by mountaineer Isamu Tatsuno, MontBell has a "Light & Fast™" philosophy. They research the specific functionality requirements of a product and try to find the optimum balance between engineering for efficiency and reliability. The fact that Montbell is a Japanese company actually gives me a good deal of peace-of-mind given the reputation the Japanese have for producing quality. An outer layer of light weight hard-faced fabric with 25-wash rated DWR treatment for durability and to disperse moisture. CLIMABARRIER Wind protection film – an ultra-light film that cuts the wind while still allowing breathibility. 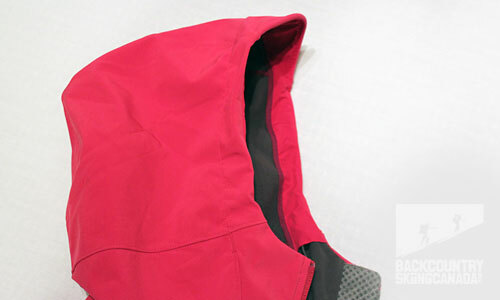 Brushed fleece lining for extra warmth and comfort. Articulated, adjustable hood with beak to keep the snow off the face. 15.7 in. 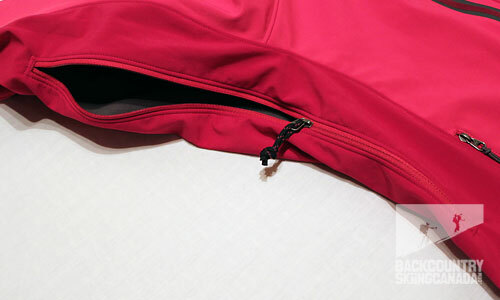 pit zips (17" for the men's version). 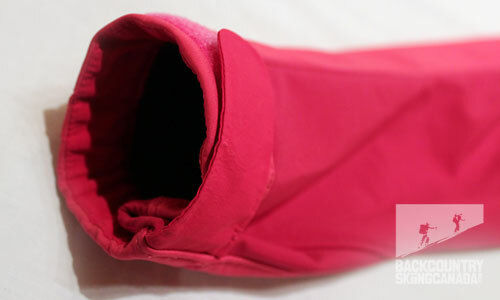 Two zippered hand warmer pockets with draw cords for hem adjustment hidden in pockets. Two zippered chest pockets and one sleeve pocket. 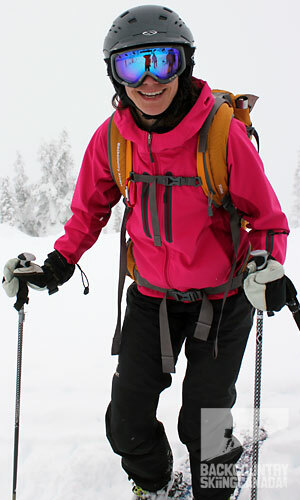 The Snow Banshee Hoodie by Montbell is a no brainer—it's a very comfortable and highly versatile at a great price. It's an attractive jacket which is just as at home walking the streets downtown as it is in the mountains (the pink is hot stuff). It has seen a lot of use since I first picked it up and the only sign of wear is grime on the cuffs and shoulders (due to my pack). One wash though and it's like new again. I have used the jacket for backcountry skiing and also in place of a hardshell for downhill skiing even though it's not specific to downhill skiing. 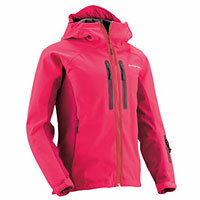 It works well for both though it's more designed for backcountry skiing as a layering piece. The cut and stretch of the fabric are ideal for ease of movement. 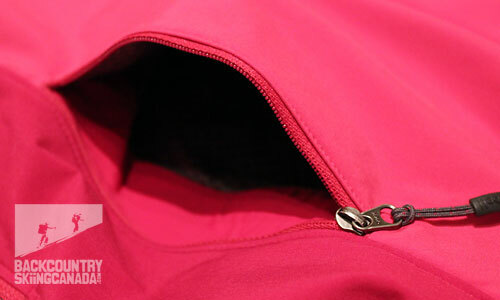 The pit zips are essential as the fleece lining can get things steamy as you climb. I didn't have a chance to try this in the depths of winter but I imagine the Snow Banshee Hoodie would be better suited to climbing in more frigid temps. 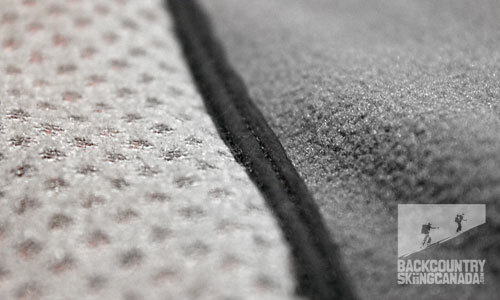 Speaking of cooler temps there is an extra layer of mesh fleece lining inside the front panels which adds a level of plushness and keeps the core a little warmer. The DWR coating keeps the Snow Banshee Hoodie water repellent but I wouldn't push it in a downpour, after all, it's not really designed for deluges. It is definitely designed to cut wind however and it does a great job of that. The signature component—the hoodie—worked really well for me, it's roomy and adjustable with a beak to keep the snow off. 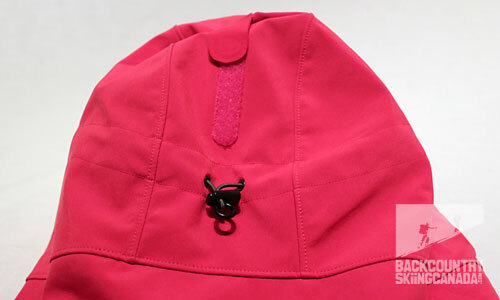 The collar zips up nice and high to protect your chin and lower face from the elements. The front collar is fleece lined for comfort on the chin when the hoodie is completely zipped—a nice touch. Well-artculated yet roomy hood, neck zips up high for extra warmth. Cut's the wind well. Lots of mobility and comfort due to fit and stretch. Affordable. The pink can quickly show it's use, particularly on the sleeve cuffs and on the shoulders where the pack sits, this means more washes which means reproof more regularly. (I hesitate to mention this because the colour is well worth the effort). An interior pocket would be nice.